But if I have to be honest, there was one musical number that did not interrupt the story’s flow. It featured a dance number in which a group of courtesans – led by a woman named Heera. Heera’s performance attracted the drunken attention of Pandey’s main foe, Lieutenant Hewson. And Pandey found himself in a fight against the British officer to prevent the latter from pawing and sexually assaulting Heera. But that was simply one of many interesting dramatic scenes featured in”MANGAL PANDEY: THE RISING”. Another featured a tense moment in which Pandey attempts to help Gordon convincing the other sepoys that the cartridges used in the new rifles are not greased with animal fat, by loading the rifle. However, this action backfires when Pandey eventually becomes convinced that he had been wrong. But the cartridges and Pandey’s reaction to them turn out to be the tip of the iceberg in the conflict between the growing resentment of the sepoy and the British rulers. Many ”STAR TREK” fans have claimed that the lead character of ”STAR TREK VOYAGER” lead character, Captain Kathryn Janeway, barely developed as a character during the series’ seven (7) season run. After watching the Season Two episode, (2.14) “Alliances”, I am can see that I would never agree with those critics of Janeway’s character. The Season Two Kathryn Janeway featured in this episode struck me as a far cry from the Janeway that finally returned to Earth in the series finale, (7.25-7.26) “Endgame”. But this article is not simply about Kathryn Janeway. It is mainly about the good captain and the major role she played in ”Alliance”. The episode began with a Kazon attack upon Voyager, which resulted in damages to the starship, several wounded and the death of another Voyager crewman – the popular ex-Maquis and close friend of Commander Chakotay named Kurt Bendera. After Chakotay delivered the eulogy after the funeral, Crewmen Hogan and Michael Jonas voiced their opinion to Captain Janeway that Voyager should operate in a manner similar to the Maquis and consider making a deal with the Kazon for safe passage. Naturally, Janeway refused to consider the idea of trading technology with Kazon, which is something they have proposed in the past. But her resistance to the idea of an alliance eventually faded when Chakotay and Lieutenant Tuvok both proposed that she consider an alliance with one or two Kazon factions to secure peace. Not to trade technology, but to offer protection from attacking forces and emergency supplies. As I had pointed out, the Captain was reluctant to accept Chakotay’s idea, but eventually accepted. Ensign Harry Kim seemed horrified by the idea, claiming that the Federation would never consider forming alliances with the likes of the Kazon. Apparently, the young ensign forgot about the treaty that the Federation had signed with the Klingon Empire in the late 23rd century (something that Tuvok had reminded the Captain about) and one with Cardassia a few years earlier. Fortunately, Janeway ignored Kim’s protests. 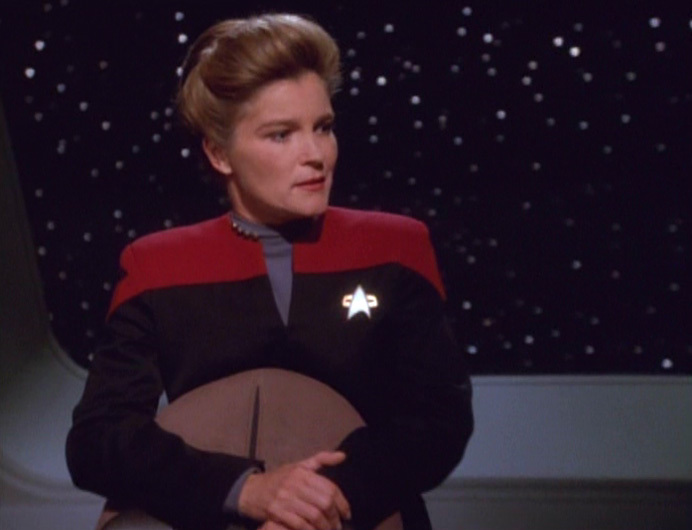 During the series’ first two seasons, Janeway had been a rigid practitioner of Starfleet’s principles, unwilling to be flexible about her command style. She also had a bad habit of ignoring advice that required her to be a little more flexible . . . unless it suited her. Obviously, Chakotay’s suggestion of mixing a little Starfleet principles with Maquis methods never really appealed to Janeway. And I got the feeling that she was determined to prove him wrong. Bear with me. There was nothing wrong in Janeway’s policies about following Starfleet principles – when the situation demanded it. After all, if Janeway had not maintained discipline on her ship, Voyager could have easily become another U.S.S. Equinox. However, there was a time for adhering to Starfleet . . . and a time for using other methods. Chakotay’s idea of forming an alliance with the Kazon seemed sound. Even Tuvok thought it was a good idea. Yet, Janeway decided to sabotage Chakotay’s idea by accepting Torres and Paris’ not-so-bright suggestion of forming an alliance with Seska and Maj Cullah of the Kazon Nistrim sect. Why on earth would she agree to sign a treaty with the very Kazon sect that the crew of Voyager had been in conflict with since Season One’s (1.11 “State of Flux”). And why did she not simply consider contacting other Kazon sects, as Chakotay and Tuvok had suggested. Then Janeway added more fuel to the fire when she disregarded Tuvok’s advice against forming an alliance with the Trabe, the Kazons’ blood enemy. The Trabe used to be a major power in the Delta Quadrant that were also brutal slave masters ruling over the Kazon race. The Kazon eventually revolted and stole all of the Trabe technology, spacecraft and even their home world. The Trabe had been reduced to wanderers that were constantly pursued by Kazon fleets and unable to settle on any permanent planet for fear of being exterminated by the former slaves. In the end, Tuvok’s objections against an alliance with the Trabe proved to be sound. The effort to form an alliance with the Kazon ended up being undermined by the Trabe’s attempt to assassinate the Kazon majes (leaders). As I had earlier stated, one of Janeway’s major flaws had been her inability to be flexible in the face of Voyager’s extraordinary situation in the Delta Quadrant. During Seasons One and Two, she seemed obsessed with maintaining Starfleet principles. In the end, this strict adherence to these principles did not prevent Voyager’s capture by Seska, Maje Cullah and the Kazon in the Season Two finale, (2.26) “Basics, Part I”. Following this last incident with Seska and the Kazon, Janeway switched tactics and adhered more closely with utilizing Maquis methods. I would have cheered her for this . . . except she went from one extreme to another. Her determination to use any means possible to get home nearly led to Voyager’s destruction in the early Season Three episode, (3.04)”The Swarm”, when she decided to trespass into a hostile alien space after being warned away. Another form of this kind of extremism occurred when she decided to form an alliance with the Borg in order to avoid what she believed was certain destruction at the hands of Species 8472 in (3.26-4.01) “Scorpion”. This alliance led to Species 8472’s defeat and many home worlds opened to conquest and assimilation by the Borg. After Voyager’s encounter with the U.S.S. Equinox in (5.26-6.01) “Equinox”, Janeway finally learned to become flexible by striking a balance between maintaining Starfleet principles and being a little creative when the occasion demanded. As for “Alliances”, it had the potential to be an excellent episode. Unfortunately, too much had occurred during the episode’s 45 minutes running time. ”Alliance” could have . . . should have been a two-part episode. But writer/producer Jeri Taylor decided to stuff this very eventful story into one episode. Worse, the story ended on a sour note with Janeway’s speech reaffirming Starfleet principles. Her strident speech not only made me wince, it also made me wonder if she was feeling a little smug at proving both Chakotay and Tuvok wrong. The ending did not strike me as one of her finest hours. I suspect there might be a good number of movie fans who have seen William Wyler’s 1949 movie, ”THE HEIRESS”. This film, which led to a second Academy Award for actress Olivia DeHavilland, was based upon both Henry James’ 1880 novel, ”Washington Square”, and the 1947 stage play of the same title. In 1997, another version of James’ novella appeared on the movie screens. Directed by Agnieszka Holland, ”WASHINGTON SQUARE” starred Jennifer Jason Leigh, Albert Finney, Ben Chaplin and Maggie Smith. Anyone familiar with James’ tale should know that it told the story of one Catherine Sloper, the plain and awkward daughter of the wealthy Dr. Austin Sloper in antebellum Manhattan, who falls in love with a penniless, yet handsome young man named Morris Townsend against her father’s wishes. If one thinks about it, the plot sounds like a typical costumed weeper in which a pair of young lovers kept apart from outside forces – in this case, a disapproving parent. But James had added a few twists to make this story. One, the story kept many in the dark on whether the penniless Morris actually loved Catherine. Two, Dr. Sloper not only disapproved of Morris, but also harbored deep contempt and resentment toward his daughter’s plain looks and awkward social skills. Her crimes? Catherine’s birth had led to the death of his beloved wife. And his daughter failed to inherit her mother’s beauty and style. After a great of psychological warfare between Catherine, Dr. Sloper, Morris and Dr. Sloper’s sister Lavinia Penniman, the story ended on a surprising note for those who have never read the novel or seen any of the film or stage versions. Those familiar with the tale at least know that it ended on a note of personal triumph for the heroine. Many movie fans and critics seemed incline to dismiss ”WASHINGTON SQUARE” as a poor remake of the 1949 film. I will not deny that in many respects, ”THE HEIRESS” is superior to ”WASHINGTON SQUARE”. However, I would not be inclined to dismiss the 1997 film as a failure. It still turned out to be a pretty damn good adaptation of James’ novel. In fact, it turned out to be a lot better than I had expected. Jennifer Jason Leigh did an excellent job of portraying the shy and socially awkward Catherine Sloper. Even better, she managed to develop Catherine’s character from a shy woman to one who became more assured with herself. However, I do have one small quibble regarding Leigh’s performance. She had a tendency to indulge in unnecessary mannerisms that would rival both Bette Davis and Cate Blanchett. Maggie Smith gave an illuminating performance as Catherine’s silly and romantically childish aunt, Lavinia Sloper Penniman. I found myself very impressed by Ben Chaplin’s portrayal of Catherine’s handsome and charming suitor, Morris Townsend. The actor struck a perfect balance of charm, impatience and ambiguity. And his verbal battles with Albert Finney’s character left me spellbound. Judith Ivey gave an intelligent performance as Catherine’s other aunt, the sensible and clever Elizabeth Sloper Almond. 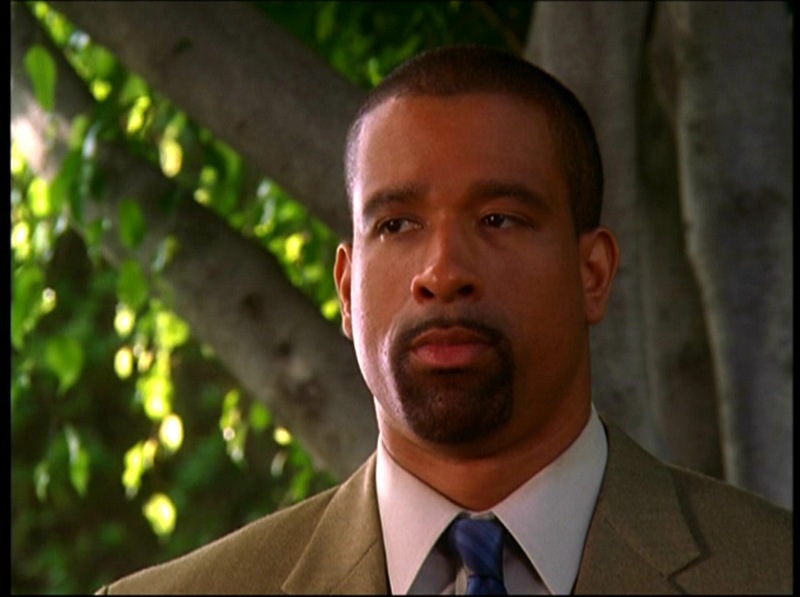 I especially enjoyed one scene that featured a debate between Catherine’s father and Aunt Elizabeth over her relationship with Morris. But in my opinion, Albert Finney gave the best performance in the movie as Catherine’s aloof and slightly arrogant father, Dr. Austin Sloper. The interesting thing about Finney’s performance was that he able expressed Dr. Sloper’s concern he felt over the possibility of Catherine becoming the victim of a fortune hunter. At the same time, Finney perfectly balanced Sloper’s concern with the character’s lack of affection or warmth toward his daughter. My favorite scene with Finney featured an expression of disbelief on his face, as his character noticed Lavinia’s enthrallment over Catherine and Morris’ musical duet. If there is one aspect of ”WASHINGTON SQUARE” that impressed me more than Wyler’s 1949 adaptation was Allan Starski’s production designs. Under Holland’s direction, Starski worked effectively with costume designer Anna B. Sheppard, Jerzy Zielinski’s photography and the visual effects supervised by Pascal Charpentier to transport moviegoers back to antebellum New York City. In fact, the movie’s late 1840s setting struck me as superior to that shown in the 1949 movie. And because of this, the movie managed to avoid the feeling of a filmed play. Holland and screenwriter Carol Doyle’s adaptation of James’ novel seemed a lot closer to the original source than the earlier version. At least the movie’s last twenty minutes adhered closer to the novel. I suspect that the movie’s first ten to fifteen minutes – which focused upon an embarrassing childhood incident regarding Catherine and her father’s birthday party – had been the screenwriter’s invention. Personally, I found this sequence rather unnecessary. Doyle could have easily used brief dialogue to reveal the origin of Dr. Sloper’s coldness toward Catherine. But in the end, Doyle’s screenplay basically followed James’ novel. But after watching the movie’s last twenty minutes, I found myself wishing that Doyle and Holland had followed Wyler’s adaptation and the 1947 stage play. The movie nearly fell apart in the last twenty minutes, thanks to a decision on Holland’s part. Most of the dramatic moments in ”WASHINGTON SQUARE” appeared in the last half hour – Catherine’s realization of her father’s dislike, Morris’ rejection of her after discovering her decision to endanger her inheritance, Dr. Sloper’s death, the reading of his will and Morris’ second attempt to woo Catherine. Out of all these scenes, only Catherine’s reaction to her father’s will generated any real on-screen dramatics. All of the other moments were performed with a subtlety that robbed filmgoers of any real drama. The fact that I could barely stay awake during Catherine’s final rejection of Morris told me that Holland made a serious mistake in guiding her cast to portray these scenes in a realistic manner. There is a time for realism and there is a time for dramatic flair. And in my opinion, those final scenes in the last half hour demanded dramatic flair. Despite my disappointments in the movie’s last half hour, I must admit that I managed to enjoy ”WASHINGTON SQUARE”. It may not have been just as good as or superior to 1949’s ”THE HEIRESS”. But I believe that it still turned out to be a pretty damn good movie. I just recently watched the 1936 disaster film, ”SAN FRANCISCO”, which starred Clark Gable, Jeanette MacDonald, Spencer Tracy and Jack Holt. Released 30 years after the actual event, the movie is basically about a Barbary Coast saloonkeeper (Gable) and a Nob Hill impresario (Holt) who became rivals for the affections of a beautiful singer (MacDonald), both personally and professionally in 1906 San Francisco. The story culminated in the deadly April 18, 1906 earthquake that devastated the city. Basically, ”SAN FRANCISCO” is an excellent movie filled with vitality, good performances and great music. Director Woody Van Dyke did an excellent job of capturing the color and energy of San Francisco during the Gilded Age. He was ably supported by the movie’s Assistant Director (Joseph M. Newman) and montage expert (Slavko Vorkapich). Composer Bronislaw Kaper and lyricist Gus Kahn wrote the now famous title song, performed by MacDonald. One of the best moments in the film occurred when MacDonald’s character announces her intention of performing the song in the movie’s Chicken’s Ball, producing applause and cries of joy from the audience. As for the famous earthquake itself . . . I am amazed that after seventy years or so, I still find it impressive. To this day, the earthquake montage is considered one of the standards that all disaster films are compared with. In fact, Assistant Director Newman won a special Academy Awards for his work. Robert Hopkins (who received an Oscar nomination) wrote the story for ”SAN FRANCISCO” and the famous Anita Loos wrote the screenplay. Hopkins and Loos created a good, solid story. But I have to be honest that I found nothing remarkable about it. It seemed like your basic Gable programmer from the 1930s that easily could have been set during any time period in American history . . . well, except for the actual earthquake. I do have one major problem with the movie’s plot – namely its religious subplot in which Father Mullen spends most of his time trying to redeem Blackie. Quite frankly, it struck me as heavy-handed and a little out of place. 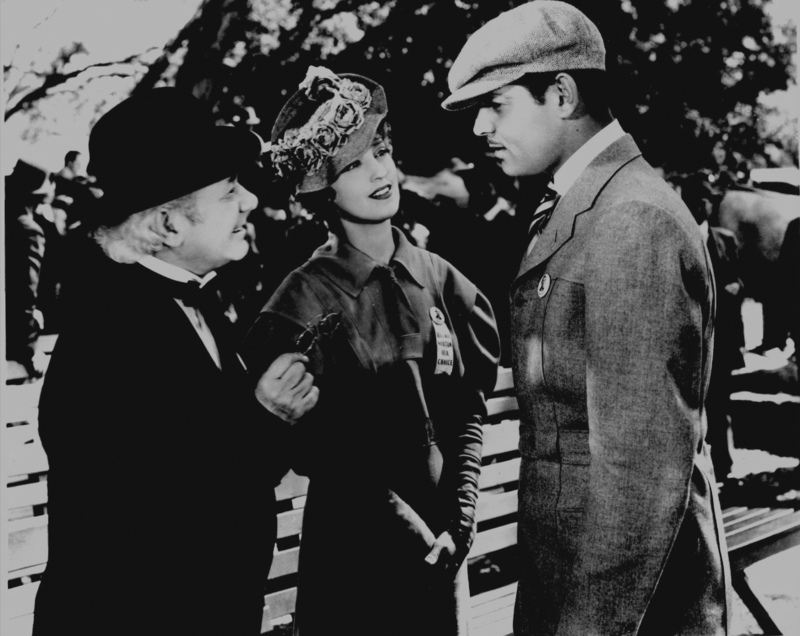 Perhaps Hopkins and Loos had intended for the scene in which Blackie found Mary offering compassion to some of the earthquake’s survivors to be a tender and emotional moment. It could have been . . . if they had left out the heavy religious theme. Despite some flaws – the most obvious being the religious subplot that turned out to be as subtle as a rampaging elephant – ”SAN FRANCISCO” is a first-class, rousing movie filled with music, drama, laughs and one of the best special effect sequences in movie history. I heartily recommend it. I never understood director Tim Burton’s decision to name his latest film, ”ALICE IN WONDERLAND”. I mean . . . why did he do it? His new movie was not another adaptation of Lewis Carroll’s 1865 novel, ”Alice’s Adventures in Wonderland”. It was a sequel set thirteen years after the original story. So why use the shortened version of the title from Carroll’s original title? Many of you might be wondering why I had just made a big deal about this new movie’s title. For me, it represented an example of what I consider to be the numerous missteps that prevented me from embracing Burton’s new movie. Before I continue, I should confess that I have never been a Tim Burton fan. Never. I can only recall two of his movie that knocked my socks off – 1994’s ”ED WOOD” and the 2007 Golden Globe nominee, ”SWEENY TODD”. I wish I could include ”ALICE IN WONDERLAND” in that category, but I cannot. The movie simply failed to impress me. As I had stated earlier, ”ALICE IN WONDERLAND” was a sequel to Carroll’s original story. Thirteen years after her original adventures in Wonderland, Alice Kingsleigh has become a nineteen year-old young woman on the verge of accepting a wedding proposal from one Hamish Ascot, the son of her late father’s partner, Lord Ascot. Unfortunately, Hamish is a shallow and self-absorbed young man with very little character. Salvation arrived during Hamish’s very public marriage proposal, when Alice spotted a familiar figure – the same White Rabbit who had previously lured her to Wonderland – scampering across Lord Ascot’s estate. History repeated itself when Alice fell down into the rabbit hole. However, she soon discovered that Wonderland (orUnderland) had changed during her thirteen years absence. The Red Queen had managed to wreck havoc and assume control over most of Underland, thanks to her new ”champion” – a dragon known as the Jabberwocky. Only the realm of the Red Queen’s sister, the White Queen, has remained beyond the red-haired monarch’s reach. However, that situation threatened to change if the White Queen fails to acquire her own champion. A scroll called “the Oraculum” predicted that Alice will not only be the White Queen’s champion, but she will also defeat the Jabberwocky and end the Red Queen’s reign of terror. But due to her stubborn belief that Underland was and still is nothing but a dream, Alice was reluctant to take up the mantle of the White Queen’s champion. Judging by the plot I had just described, ”ALICE OF WONDERLAND” should have been an enjoyable movie for me. Granted, Linda Woolverton’s script seemed like a typical ”slay the dragon” storyline that has been used in numerous fantasies. But it still had enough adventure, intrigue and personal angst for me to find it appealing. So, why did it fail to light my fire? Production designer Robert Stromberg created an interesting mixture of Gothic and animated styles for the film’s visuals in both the England and Wonderland sequences. Anthony Almaraz and his team of costume designers created lush and colorful costumes for the cast. And Dariusz Wolski’s photography brought out the best in the movie’s visual styles. ”ALICE IN WONDERLAND” could also boast some first-rate performances from the cast. Johnny Depp gave a wonderfully complicated performance as the Mad Hatter. His Mad Hatter was an interesting mixture of an extroverted personality and pathos, punctuated by bouts of borderline insanity. The Red Queen might possibly be one of Helena Bonham-Carter’s best roles. She struck me as the epitome of childishness, selfishness and cruelty. Crispin was slick, menacing and subtly funny as the Red Queen’s personal henchman, the Knave of Hearts. Anne Hathaway’s delicious portrayal of the White Queen reminded me of a Disney princess on crack. I really enjoyed it. Both Tim Piggott-Smith and Geraldine James (who were both in the 1985 miniseries, ”JEWEL IN THE CROWN”) gave solid performances as Alice’s potential in-laws – the kindly Lord Ascot and his shrewish and bullying wife, Lady Ascot. And Alan Rickman gave voice to the Blue Caterpillar in a deliciously sardonic performance. Despite my positive opinion of most of the film’s technical aspects and performances, it still failed to impress me. Why? First of all, the movie rested upon the shoulders of Australian actress, Mia Wasikowska as the lead character, Alice Kingsleigh. I understand that Ms. Wasikowska has recently received critical acclaim for her portrayal of a suicidal teen in HBO’s ”IN TREATMENT”. It seemed a pity that she failed to be just as impressive as Alice in ”ALICE IN WONDERLAND”. Some people have labeled her performance as ”subtle”. I would call it ”insipid”. Or perhaps just plain boring. I swear I have never come across such a bland and boring performance in my life. No only did Wasikowska managed to make Alice’s battle against the Jabberwocky seem dull, she still came close to putting me to sleep in her character’s moments of triumph in the movie’s finale. 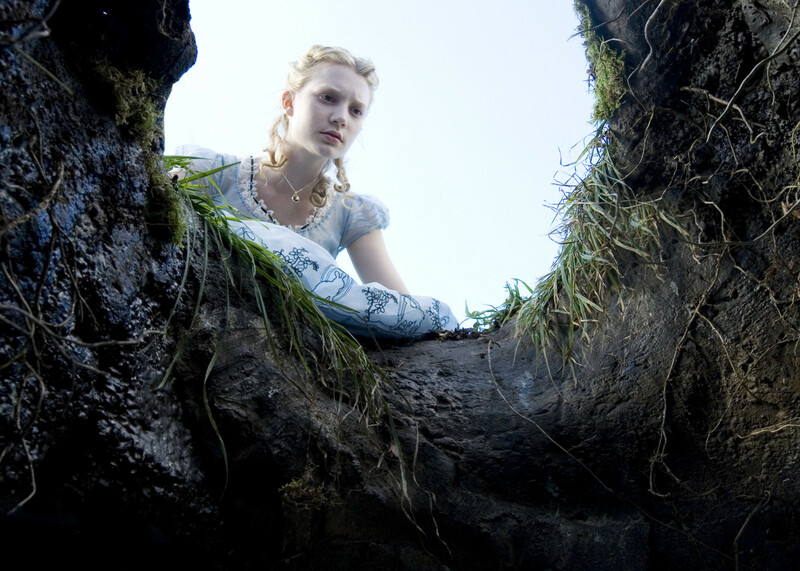 Tim Burton’s direction of ”ALICE IN WONDERLAND” proved to be just as uninspiring to me, as Wasikowska’s performance. Actually, I found myself thinking of the 1992 movie, ”DEATH BECOMES HER”. I was not comparing the visual effects between the two movies. Meryl Streep had uttered a word in the 1992 movie that perfectly described my opinion of Burton’s direction. Flaccid. ”FLA-A-A-A-CI-I-ID!” How did a director with Burton’s reputation managed to take a solid fantasy adventure and make it one of the most boring films in recent Hollywood history is beyond me. His direction lacked any pep. Or spark. I had felt as if I was watching a piece of limp lettuce in action. I even began to wonder if Burton’s dull direction had affected Wasikowska’s performance. Then I remembered that actors like Depp and Bonham-Carter managed to rise above his direction. I might as well dump the blame of Wasikowska’s performance on her shoulders. As for Tim Burton . . . what is there to say? His direction simply disappointed me. I might as well say something about the movie’s 3-D effects. They were not only disappointing to me, but also a waste of time and the extra cash I had to pay for the movie tickets. I did not care for the 3-D effects in ”AVATARS”, but it was an example of technical wizardry in compare to the 3-D photography shown in ”ALICE IN WONDERLAND”. Speaking of ”AVATAR”, I have one last thing to say in regard to 3-D . . . ’Damn you, James Cameron!”. Seriously. I would like to take the man’s head and bash it through a wall for introducing 3-D to the movie going experience. In the two movies I have seen it in, I found it unimpressive. Worse, I had to pay extra movie because movie theaters are more willing to show the 3-D versions of movies like ”ALICE IN WONDERLAND”, instead of the 2-D versions. In short, ”ALICE IN WONDERLAND” had all of the hallmarks of a solid and entertaining movie experience for me. It was the continuation of a classic fantasy adventure. Talented actors like Johnny Depp, Helena Bonham-Carter, Crispin Glover and Anne Hathaway gave first-rate performances. And I must admit that the movie’s production designs and photography gave it a unique visual style. But all of that could not save a movie hindered by pedestrian 3-D effects, a dull and insipid performance by Mia Wasikowska and an even more insipid direction by Tim Burton. Frankly, I think it is a miracle that this movie managed to become a box-office hit. It was an angry sorcerer who appeared before the Crozats. Judging from his expression, Edward realized that the attack on the youngest McNeill had failed. “What happened?” the warlock asked. Growling, Dako/Morris wrapped one hand around Cousin Louis’ throat. “I’ll tell you what happened! That witch had used his psychic abilities to summon help before I could kill him! I found myself surrounded by that girl’s two sisters, the McNeill woman, a man surrounded by blue lights, some woman I don’t even know and another man who just might be a daemon.” He gave Louis’ throat a slight squeeze. Edward’s cousin gurgled. “And do you want to know what else I had discovered? One of the witches is not only pregnant, but she also might be as powerful as myself. And the same can be said about the man with the demonic powers. Something you had failed to tell me.” Dako squeezed Louis’ throat tighter, causing the latter’s face to turn red. “We don’t have much time,” the bokor snapped. “Once the potion or spell is completed, inform me.” Dako glanced down at Louis, who was struggling to stand up. “Meanwhile, I will be in my room, meditating. I . . . this mortal. He is still making it impossible for me to completely control him. And have this one,” he pointed at the unfortunate Louis, “deliver my morning meal at sunrise, precisely.” With a frown on his face, the sorcerer disappeared. Cole sat in one of the plush chairs inside the McNeills’ long drawing rooms. His eyes followed Olivia, who was engaged in a telephone call with an agent from the U.S. Customs Office. He had returned to the family’s residence, after dropping off Cecile at Olivia’s apartment. “Yeah Martin, it has been a long time. Like three weeks,” Olivia was saying. “I guess you heard about Ben Mallard.” She paused. “Yeah, well your boss wasn’t exactly thrilled to see me. What can I say? It was San Francisco PD who stumbled across his body.” Another pause. “What do I want, this time? Marty, why do you always assume I’m after something?” Olivia threw back her head and laughed. It was a rich, throaty laugh that seemed filled with warmth and promise. For a brief moment, Cole felt as if someone had punched him in the gut. He wandered what this Marty could have said to generate such a response from Olivia. Something personal? Intimate? Deep down, Cole knew he had nothing to worry about, but speculating the reason behind Olivia’s laugh seemed a hell of a lot more preferable than brooding over what was really bothering him. Cole’s gaze wrenched away from Olivia. Mention of Paige’s name brought back memories of Piper and Phoebe’s reaction to his encounter with Dako. He recalled the anger and contempt in their eyes. “Yeah, lucky,” he murmured. Nodding, Cole merely replied, “Oh.” Once the mystery behind Olivia’s relationship with this Marty vanished, Cole’s real reasons behind his blue mood came back in full force. Blue-gray eyes bored into the half-daemon’s. The latter squirmed uncomfortably. “Okay Cole, what the hell is really bothering you?” the middle-aged witch gently insisted. The revelation took Cole by surprise. Ever since he had recalled Jack McNeill from his past, he knew that Olivia’s dad was capable of great ruthlessness and intelligence. Yet, he never realized that the witch had such a troubled past. “What about this Pamela?” Cole asked. “Perhaps poor Marty has finally realized that he’s given you one too many favors over the years,” Mr. McNeill replied with a smirk. “Thanks a lot, Dad!” Olivia shot her father with a mild glare. Irritation flitted across Piper’s face. “C’mon Pheebs. Do you really believe that Cecile is the only one of us capable of defeating Dako, just because she’s into Voodoo? If I recall, all of us helped An-Ling defeat Yen-lo inside the Zen Limbo. And you and Paige helped Ava vanquished Orrin when he had the Evil Eye. Using both a Gypsy spell and Wicca magic, I might add.” She plugged the small bottle with a cork. “If Cecile can find some Voodoo spell, I have no problem with using it. But I still think we’ll have just as much chance with success with this.” Piper held up the bottle with a flourish. “And what about vanquishing that sorcerer?” Phoebe asked. “Yeah. Along with Olivia, Cecile and maybe even Bruce or Mrs. McNeill. Right?” Phoebe added. This latest episode of ”THE PACIFIC” managed to affect me in a very emotional way. To my great surprise. And I find this amazing. 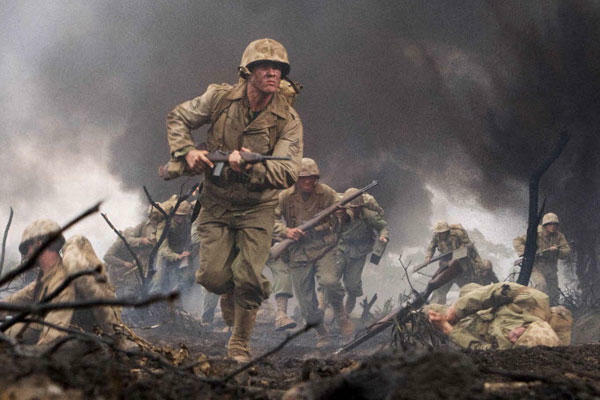 After all, I knew what it was about – namely John Basilone’s return to active duty, along with his courtship and marriage to fellow Marine, Sergeant Lena Riggi. And I knew how it would end. Yet, Episode Eight had a great emotional impact upon me.